DUSU election 2017 date has been announced by Delhi University on 21 August 2017. Date of DUSU elections 2017 is awaited by university students for some time, especially freshers are excited to cast their first vote in Delhi University Polls. DUSU election date 2017 is 12 September, 2017 and day is Tuesday. 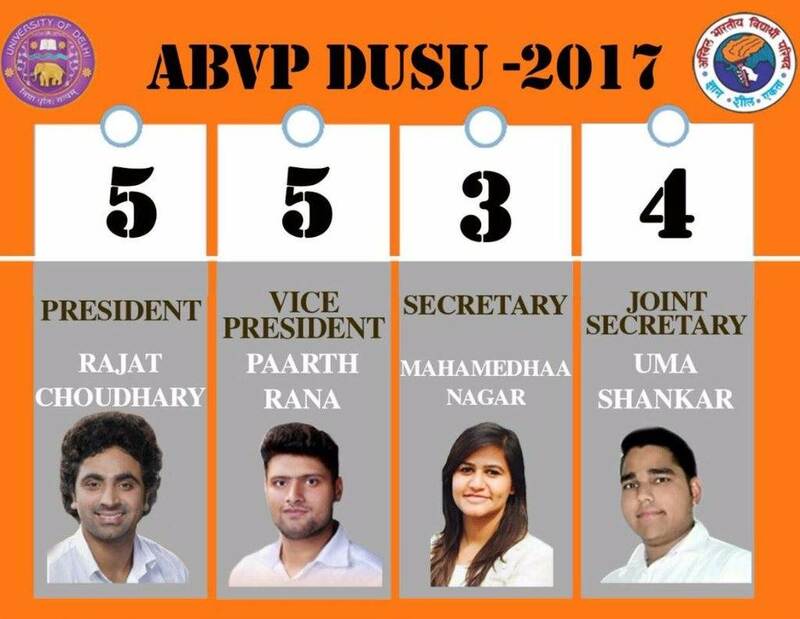 DUSU elections held every year for all the colleges under Delhi University and students choose their favorite candidate by voting. In the latest announcement, High Court has allowed Delhi University to declare their result. The vote counting is scheduled for 13 September and DUSU elections 2017 result will be declared by the authorities on same day. However court also said that the final results will be still dependent over the result of Plea of Mr Rocky Tussed. He challenged the DU’s decision of rejecting his nomination for the post of president. DUSU voting percent was around 44%, calculated in all colleges of DU. DUSU polls are contesting for the 4 seats of Delhi University. These seats are president, Vice President, Secretary and Joint Secretary. Mainly two parties (ABVP and NSUI) are contesting in DUSU polls from long time. In 2015 DUSU polls, AAP supported Chhatra Yuva Sangharsh Samiti (CYSS) tried their luck in the polls and did not win any seat out for 4. CYSS did not contest 2016 elections. DUSU Election 2017 results will be declared after the successful completion of polling, however DUSU election result is not declared by the authorities. In the 2016 elections, counting of voting was done on 10 September 2016, next day to polling. We are expecting that DUSU elections result date will be declared soon by the University authorities. We will cover the live DUSU election result 2017 with votes count and the margin of the candidates like the past elections. Live Update: Votes of South Campus are being counted and ABVP is leading on all of the seats until now. This is a good sign for the party, though North campus votes are yet to be counted. Final result will be out later in the evening. We will share the final winning candidates as soon as the final DUSU elections results are out. The elections are already finished and vote counting is all set to start tomorrow, as court has given a green signal to DU. High Court Judge has allowed DU to declare the DUSU results with one twist. The result of petition will impact the election results directly and court holds this card in their hand. Rocky Tussed was allowed to contest in election after his petition against Delhi University’s decision of rejecting his nomination. So lets see what is the result and how the petition result impacts it in the end. DU announced result date and votes counted will start at 8:30 AM on 13 September 2017, Wednesday. Live Vote counting will take place in Kingsway camp, as per notification shared by Chief election hospital of DUSU. Whole election schedule of Delhi University Student Union polls has been shared by DU. As per the schedule DUSU elections date is 12 September and voting will be done in two time slots. DUSU elections 2017 result date is announced by University till now, date and time will be announced later. Last year counting of votes were done on the next day of voting. Counting of Votes - DUSU Results 2017 13 September, at 8:30 AM sharp. Last date for filing nomination is 4 September and scrutiny of the nomination paper will be done on the same day. List of eligible nominated candidates will be published in the evening of the same day. Nominated candidates who are eligible for the DUSU polls 2017 are needed to deposit security on a next day till 3 PM. DUSU candidates can also withdraw their candidatures till 12 PM on 6 September.Final Candidates list along with party name will be published on the evening of 6 September, till 5 PM. After the publication of the final candidates list, the nominees will run an election campaign as per the DUSU election guidelines. Election date for DUSU elections 2017 is 12 September. The polling is divided in two slot, morning and evening. Morning shift student voting time is 8.30 AM to 12.30 PM and Evening shift class polling time is 3 PM to 7 PM. Total duration of polling is 8 hours. DUSU candidates nomination has been filled by all the parties, participating in DUSU elections 2017. It contains candidates for the post of president, vice president, Secretary and Joint-Secretary. The candidate has filled the application and nomination on their part, however DU will conduct verification. Once the verification is done, final list would be confirmed. Candidates mentioned in the list can also withdraw their names by writing application to DU election officer till noon of 6th September. So we can expect some update in the final list of candidates. Final list of candidates was declared on the evening of 6 September as per the University guidelines. Every party is trying to contest the elections by fielded their potential winning candidates. Candidate selection is one of the most important tasks for every political party, therefore the selection of candidates takes enormous amount of time. 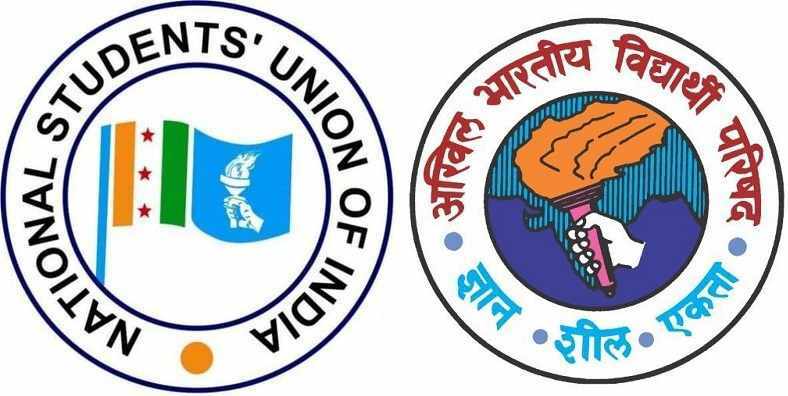 Akhil Bharatiya Vidyarthi Parishad (ABVP) and the National Students Union of India (NSUI) are the main two parties of DU. NSUI candidates list and ABVP candidates final list 2017 will be published here after the declaration of candidates. Candidates list is already declared for President, Secretary, Vice President and Joint Secretary post, however it is not approved yet by election commission. 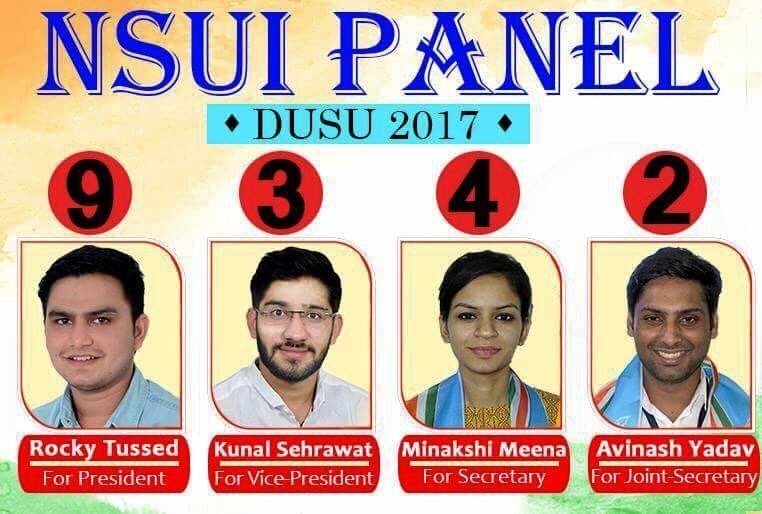 Some other parties are also contesting the DUSU polls.Check: JNU Elections 2017 and DUSU Election Result 2016 for complete schedule, votes and margin along with candidates name and winner list.